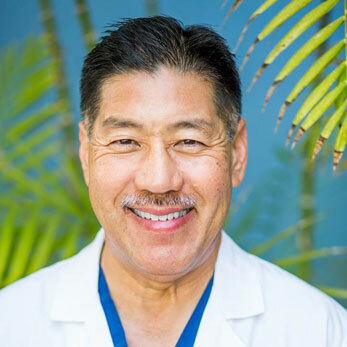 The Ryu Hurvitz Orthopedic Clinic has been serving patients in the greater Santa Barbara, California area for over 25 years. The practicing orthopedic surgeons and sports medicine physicians – Dr. Richard Ryu, Dr. Graham Hurvitz and Dr. Jervis Yau – take great pride in providing the best care to all patients suffering from an orthopedic condition or sports injury. The Ryu Hurvitz Orthopedic Clinic offers the most advanced medical technology, surgical instruments, tools and operating systems in order to achieve optimal results for each and every patient. Our physicians work closely with each patient, a physical therapist and a highly trained staff of nurses and technicians so the overall goal of full recovery is achieved as quickly as possible. The physicians at Ryu Hurvitz Orthopedic Clinic believe physical rehabilitation following any orthopedic or sports injury is a vital part of a successful recovery, whether it is used as the primary treatment for a condition or used to enhance a surgical procedure.